1. 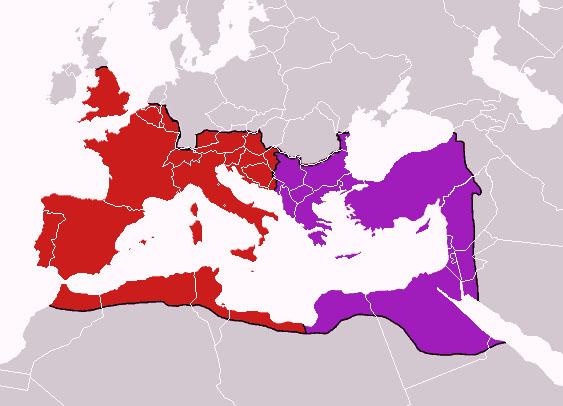 Why did the Roman Empire split into two? 2. Political enfranchisement across the Empire. 3. Diocletian, civil war and the emergence of Emperor Constantine. 4. Balance between East and West. 5. The doctrinal development of Christianity in the Empire under the Emperor. 6. The Fall of Rome. 7. The impact of the Byzantine conquest of Italy. 8. What did the fall of the Western Roman Empire mean for Europe? 9. Germanic movement into Roman Europe and the arrival of the Slavic peoples.